Okay, so firstly, there’s no reason to “increase the volume” of your source audio more than a normal level. If it has an analog volume adjustment, maybe setting it between 5 and 7 would be suffice. You obviously want it to be loud enough to create a clear signal, but that’s really all. Once you have that setup, and the source connected to your computer, assuming you already have the connection logistics worked out. 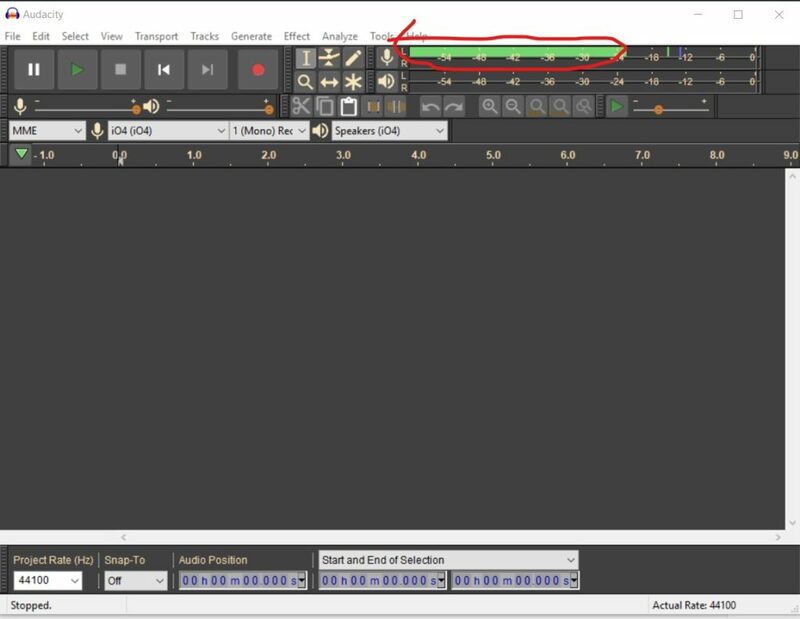 You’ll now need to set the recording level within audacity. Once you have everything hooked up, start your source material playing back, then click on the level meter in audacity (circled below). This lets you check your level before you start recording. Try to get the level as high as you can without going into the red. You can adjust the level using the microphone slider located under the pause button. Once you have a good level, you can restart your source material and record for real. Once the recording is finished, you can use the “Normalize” plugin to make sure your recording is at maximum level. This entry was posted in Uncategorized and tagged audacity tutorials, demonic sweaters, distortion, how to adjust recording level in audacity, recording level, recording level in audacity on March 25, 2019 by DemonicSweaters.